There are few Jewellery Designing Institutes in Ahmedabad. 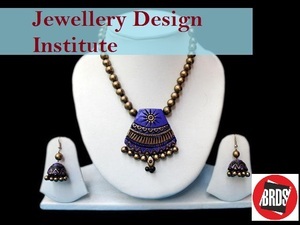 BRDS design Institute has been imparting Jewellery Designing Diploma Courses in Ahmedabad since the year 2000. At BRDS, we offer Manual as well as Computer Aided Courses in Jewellery Designing. Get yourself enroll with Rathore University in Jewellery Design Course now.